It’s really interesting to convert and watch the videos in the desired formats. There’re a number of video converting programs available which help you to convert the videos easily. Most of the converters allow users to convert the videos in either one or two formats, but it is still difficult for to watch the videos on users’ devices with no hassle. In such case, you’ll need the help of a video converter program to help you get the conversion done. 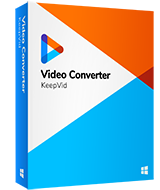 KeepVid Video Converter is one of these helpful video converter program to make it easy for the users to convert MP4 to MP3 format. When you try to download the MP3 videos directly from the video websites, it will be hard for you to download the videos directly. But with the help of KeepVid Video Converter, it is easier for the users to download and convert the videos in MP3 format automatically. This MP4 to mp3 converter online is available on the official site of KeepVid. KeepVid Video Converter has amazing features which make it easier for you to convert MP4 videos to MP3 audio files. It offers three helpful features, including converting, editing and downloading feature. It uses the leading video converting technology that helps you to convert videos easily. It provides you High Speed option to speed up the video conversion technology. It enables you to convert multiple videos in one time. Step 1: Start KeepVid Video Converter and add MP4 file from your computer to the program. Step 2: Select MP3 as output format and click the Convert button. Step 3: When the Conversion finishes, you’ll get the converted video files in the Converted tab. Start KeepVid Video Converter, and click the Add Files/Add Folder button at the upper left corner of the software main interface. Then add the MP4 video from your computer to the program. After that, you can either click the inverted triangle icon in Target section or the inverted triangle beside Convert all files to button, and then choose Audio in the pop-up window. After that, select MP3 as your output format. 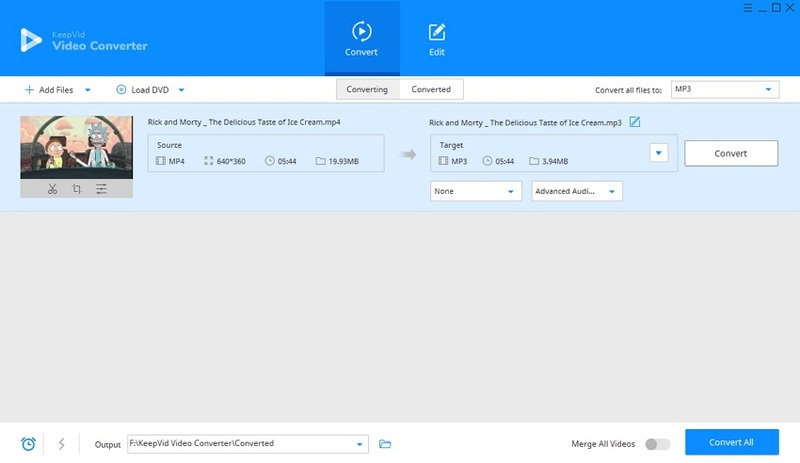 Once you’ve chosen the output format, you can either click the Convert button at the right side of the video, or the Convert All button at the lower-right bottom of the main interface. 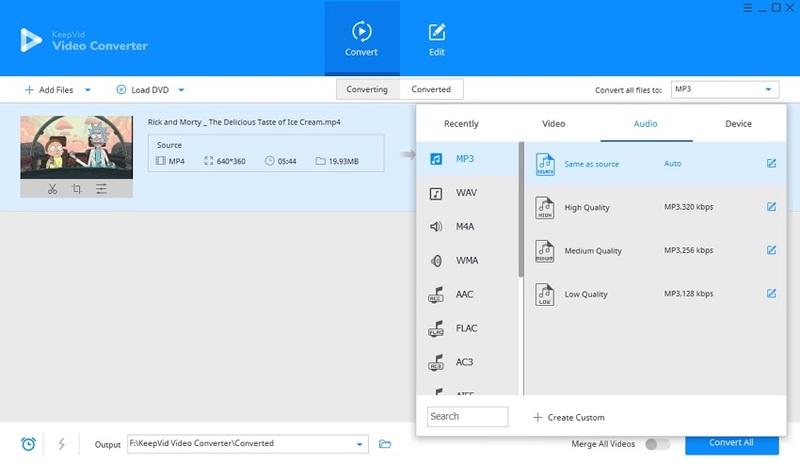 Then KeepVid Video Converter will start converting MP4 to MP3 audio file. Wondering about converting MP3 to MP4 as well? 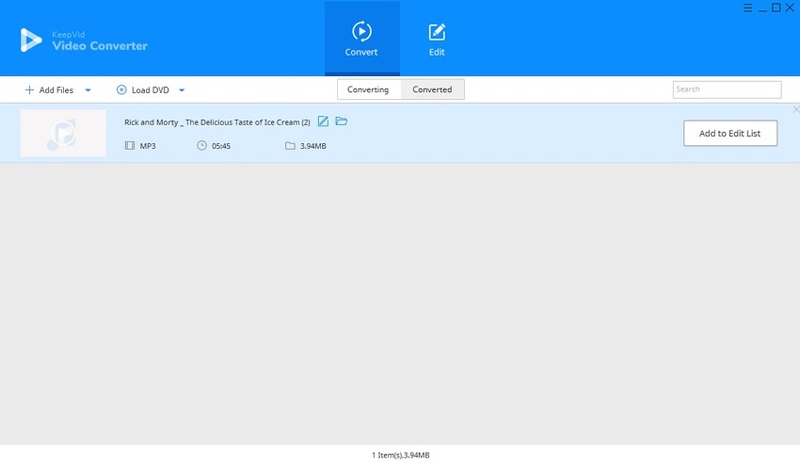 Don't worry, KeepVid Video Converter will also help you to finish the task in an easy process. • Users can download videos to mp3 with KeepVid Video Converter directly. • You can take advantage of the program to convert MP3 files in a batch. • Pay attention to the size and quality of the file before conversion. Video converters are nowadays simple solutions for resolving the compatibility issues with the video format. There are various types of video converters which are available in online as well as desktop versions. Top three video converters which can convert MP4 videos into MP3 format are as follows. Days are gone when you were unable to convert MP4 to MP3 online KeepVid Online Video Converter allows the users to quickly convert MP4 videos to MP3 audio files. It is one of the best online video converters which can convert your videos to any format you want easily. It can convert videos into 50 different formats, including MP3, 3GP, AAC, MP4, M4A, AVI, MKV and all popular video formats. This video converter is very easy to use and convert the videos with fast speed. The main reason why this video converter becomes popular is that it offers very easy-to-use interface. It includes 3-step conversion process without leaving any kind of watermark. It is a converter that can download and convert video in different formats. 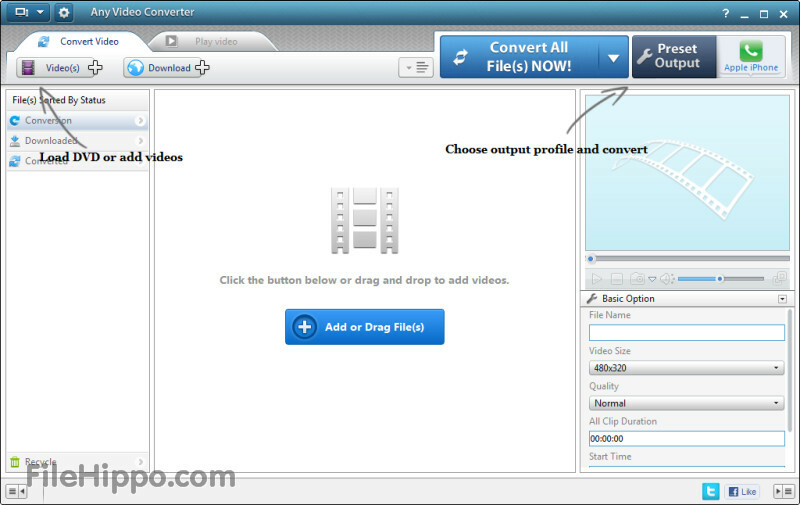 It is the free video converter which you can download and install on your computer for easy use. It can also import videos from CD and burn video to DVD or AVCHD DVD. Animated GIF images can be made from videos by using this converter.